Perfect for: Quintessentially British nights in watching White Christmas with Jasmine tea. 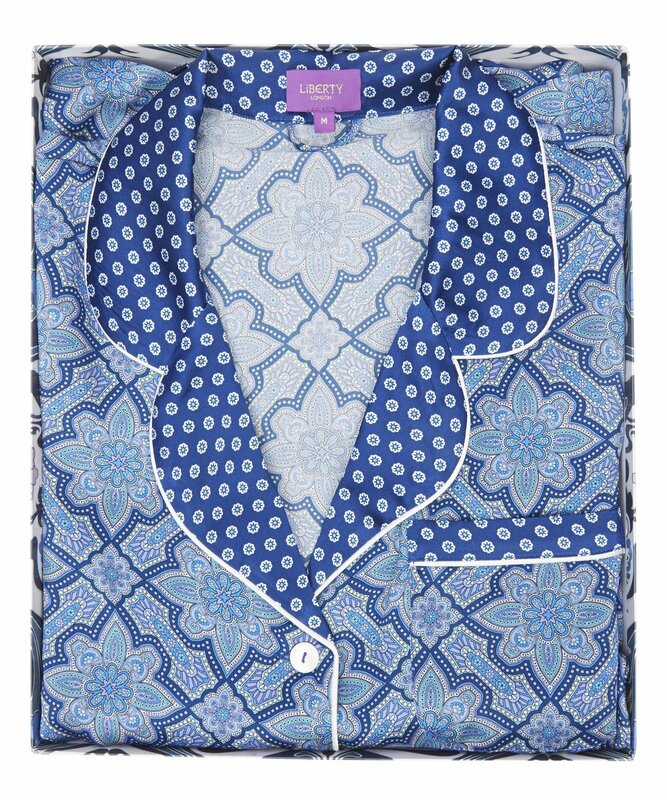 Finely tune your nightwear collection with the aid of the Liberty London archive; in the Jasmine print, these Liberty London pyjamas are the essence of everyday luxury. Silk satin, offset with elegant piping and a row of mother of pearl buttons through the front. Supreme comfort, imbued with immeasurable heritage style. Click here to buy online or please visit Liberty London. Perfect for: Throwing at your best friend during a rock chick sleepover. Add to your proud collection of delectable home wares with the aid Bella Freud's iconic 1970 intarsia on this cosy cushion. Merino wool fine gauge, envelope back and natural feather pad. Cushion measures 50cm x 50cm. Perfect for: The Cultural Explorers. A specially curated, bespoke set of Wallpaper* City Guides celebrating Harvey Nichols Britalia campaign. 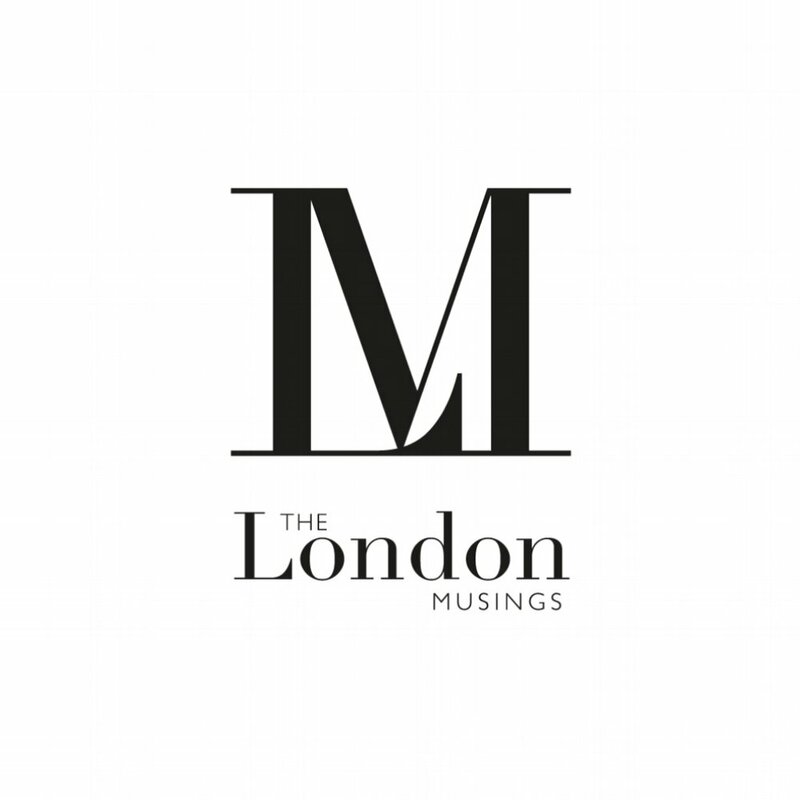 Contains 10 stylish city guides for the following cities: London, Glasgow, Belfast, Liverpool, Venice, Milan, Rome, Turin, Palermo and Genoa. Each one of the guides is tightly edited with a selection of city highlights for the design-conscious visitor. Click here to buy online. Perfect for: A great mindfulness session to help you unwind after a long day rushing around the city. This white jasmine and gardenia four wick scented candle from Cochine evokes lush floral scents that will infuse your home with an enchanting sun-drenched aura. Jasmine thrives in the heat of Southern Vietnam and the petals are handpicked after nightfall when their fragrance is at their most intense. These petals sit alongside gardenia and peony to unfold into a soft yet elegant scent. A stunning centrepiece for your home or a wonderful gift, this chic candle emanates effortless style and captivating luminance. Click here to buy or visit Harrods. Perfect for: Architecture enthusiasts with a penchant for Earl Grey and biscotti. Tea tastes better when it’s served up properly. This little tea cup and saucer set from Fornasetti features the brand’s Architettura print, reminiscent of ancient Roman metropolises. Pair with a biscotti and enjoy on an Autumn afternoon. Click here of pop into Liberty London to buy. Perfect for: Chilly evenings in watching your favourite TV series. Snuggle up with this ultra-cosy and luxurious John Hanly throw. This design features a classic weave with a chunky soft feel made from a cashmere and merino-blend, a great accent for any armchair or couch. Click here or visit Liberty London to buy. Perfect for: Feeling like a golden goddess. With a mission to create every moment beautiful, luxury brand Saint Aymes is much-loved for its decadent artisan chocolate inspired by artistic greats and enriched with opulent colour. 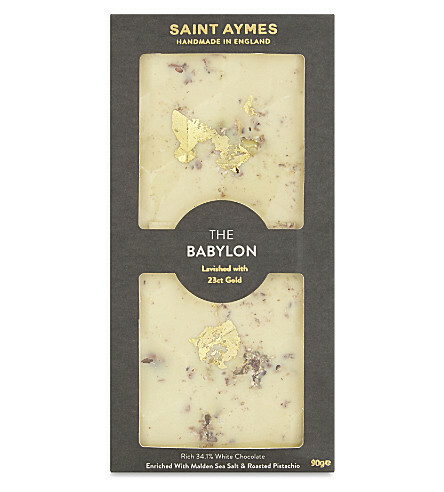 Hand-made in England, this Babylon white chocolate bar is combined with Malden sea salt and roasted pistachio - a salute to the 7th wonder of the ancient world with its lavish 23ct gold leaf. You can purchase here, or visit the food hall at Selfridges.